Starting April 3, 2017, USCIS will temporarily suspend premium processing for all H-1B petitions. This suspension may last up to 6 months. While H-1B premium processing is suspended, petitioners will not be able to file Form I-907, Request for Premium Processing Service for a Form I-129, Petition for a Nonimmigrant Worker which requests the H-1B nonimmigrant classification. 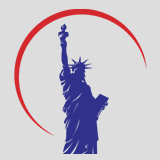 USCIS will notify the public before resuming premium processing for H-1B petitions. [gravityform id="1" title="true"
Categories of visas affected by the Executive Order “Protecting American Jobs and Workers by Strengthening the Integrity of Foreign Worker Visa Programs. Please join the San Diego Immigrant Rights Consortium and other pro-immigrant and pro-refugee groups TOMORROW (1/26) at 11:30 a.m. at the San Diego County Administrative Building (1600 Pacific Highway, Harbor Blvd. Side).We will be standing on the side of justice for our Muslim and refugee brothers and sisters in response to the first executive order (halting refugee admissions and temporarily banning legal immigration from certain predominantly Muslim countries. )[gravityform id="1"